Royal Classic is a luxurious high quality collection of traditional rugs featuring a thick and heavy New Zealand wool pile. The collection boasts timeless elegant classic designs that never go out of fashion. 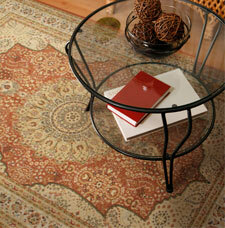 In addition, the rugs are made of 100% pure New Zealand wool, which is pleasantly soft to the touch. A luxurious and durable collection that will certainly contribute towards a stylish and chic room setting.